So here's the deal, I want to be able to type "ë" using shift+"+e. This can't be done with the keyboard layouts in elementary OS, I've tried changing it to US International and Alternative International but still I can't type "ë" easily. Does anyone know how to fix this or add keyboard layouts that correspond with the layout of windows version of US International? 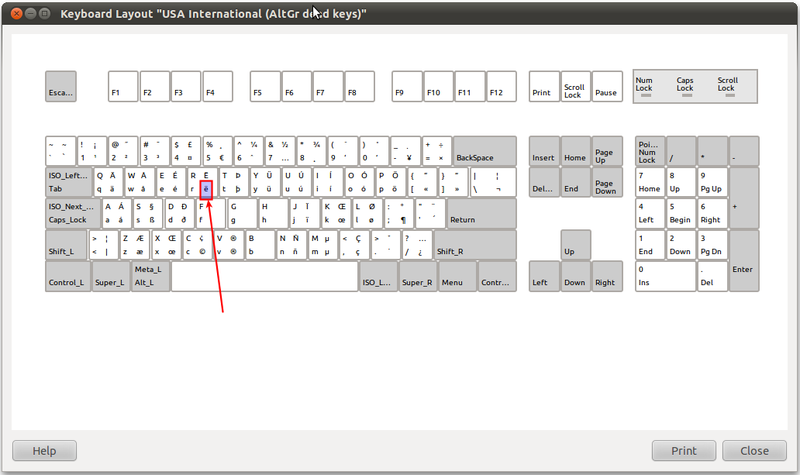 In Linux the layouts are not exactly the same as in Windows, I think, but for English US (if that is what you need) you have English US alternative International, English US International with dead keys, English US International Algr dead keys. Dead keys are symbols that in order to be used have to be followed by Space; followed by other keys, they add diacritics to these keys; the dead-keys resemble the diacritics they trigger, and therefore are easy to remember: "+a=ä, ^+a= â, etc. English US alternative International and English US International with dead keys seem almost identical. As for ë made with Shift+E I have not found any English US QWERTY layout that does that.